Ok. It’s been a while since I’ve blogged but after Granny’s demise I took a little break from cars apart from occasional drives to keep them exercised, this being an incredibly mild winter. Part of my Volvo obsession had recently been displaced by an interest in vintage English 3-speeds, but more on that in a later post. 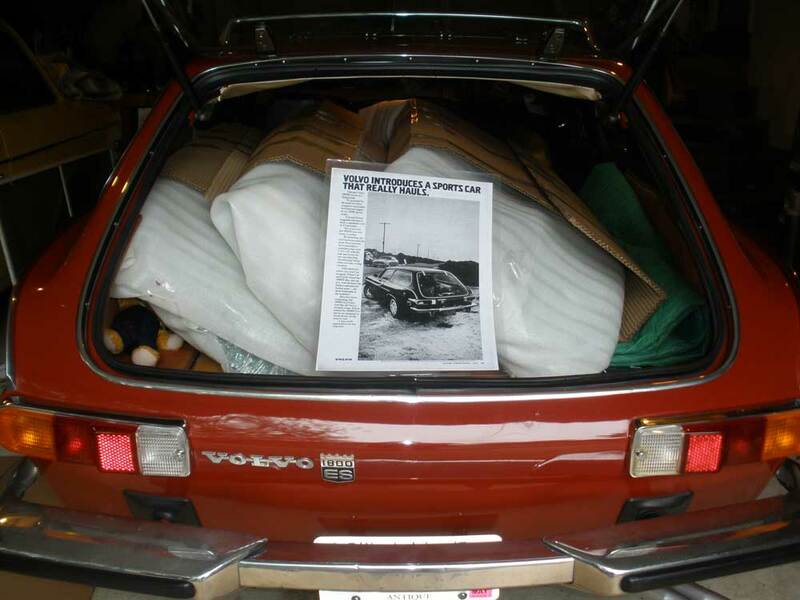 My friend Dave recently sent me some pics of something I wouldn’t have thought of doing: transporting six 1800 windscreens from Rhode Island to Watkins Glen in the back of an 1800ES. If one looks at the videos again, one can see the crack in the race car windshield growing. Jim P (from P and B Motorsports) ended up putting in a delaminating one from a Wisconsin friend who had replace his. When we were looking for a windshield we found there was but one in US dealer inventory and that dealer wouldn’t ship it. On ebay we found a seller that had reproductions. Squeezing the penny, Jim P found if he got three or more, he could get a much better price, saving even more if shipping was deducted. So he sent an email about to the Midwest 1800 owners to see if anyone else wanted one. Three was going to be easy but *six*? This was so many that the luggage had to be on the roof rack. 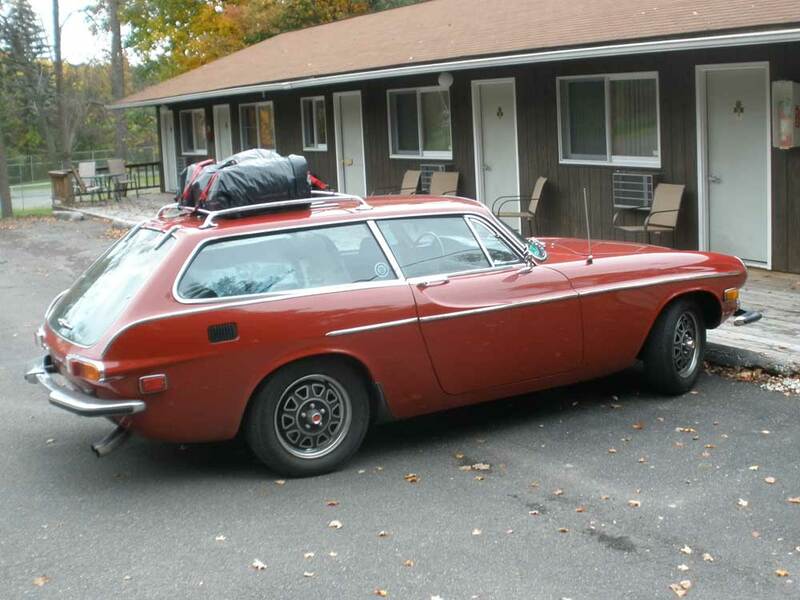 When is the last time an 1800 owner actually *used* a roof rack on an 1800?